All humans are followed by reflexes. Wikipedia names more than 50 reflexes known to modern science. But I know one more reflex that is unknown to Web Encyclopedia. I call it “natural moves” reflex. ABSOLUTELY every chess player has a set of chess instincts that (1) make some moves undoubted or (2) makes some moves not possible for him/her. For every level of players, there is a different set of reflexes. For example, beginners take everything they can or attack the queen whenever he/she can do this. Experienced players already understand that such behaviour does not bring dividends and become more flexible. 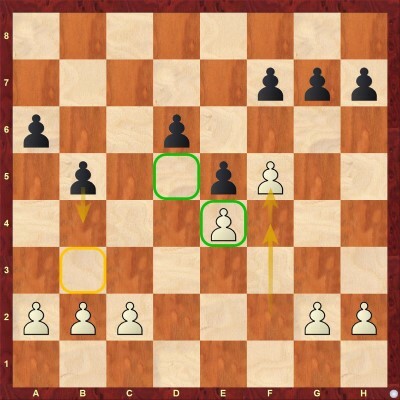 Stronger players know that in the endgame king should go to the centre; when you attack you do not need to exchange queens; do not exchange fianchetto bishop when your king is castled to the same side etc. Such a list can be enormous. But in chess every single position is individual. Every single position has own nuances. Even the flap of a butterfly wing on one continent may cause an earthquake on another. Rephrasing this formula of Chaos Theory we can state that a move that was good with the pawn on h2 may be a fatal mistake with a pawn on h3. Definitely, reflexes help us when we are short on time. But if we have enough time on the clock, we need to consider all nuances and to double-check all around do not miss something important that can be out of our reflex system. Now let me show how all this can influence on our play. What can be more natural than to take an opponent's piece - especially when he/she took our piece on the last move? One of the first things we learn as chess beginners are how to capture and this reflex goes through all our chess life. Even top players are affected by to-take-instincts. But chess is not draughts and capturing is not compulsory in our game. The first example I would like to share demonstrates the most primitive form of this reflex. You take - I take. Black was my former student who could not handle with own instincts. 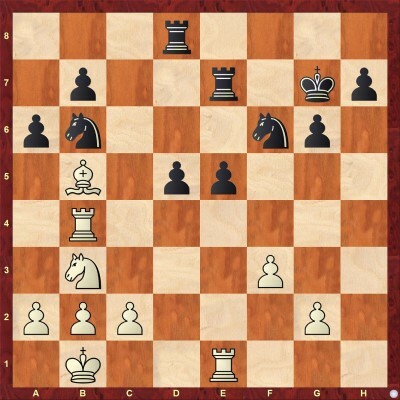 The last move was not the best - a7-a6 - and White confidently takes this pawn 30.Bxa6. My student admits that he made a mistake and without any doubts takes back 30...bxa6? 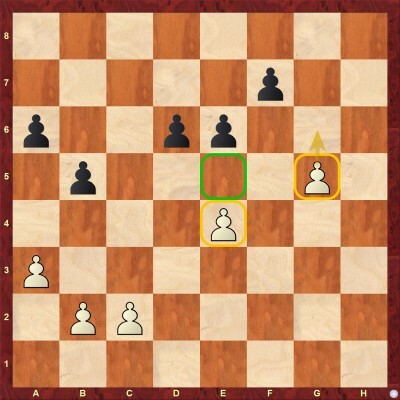 (The best move was out-of-reflexes 30...Rd6!. Black defends the knight and forces the bishop to retreat). White played 31.Rxb6 and rapidly Black lost but there is no sense to see the end of this game. We can make two conclusions based on watching this game - one concrete and one general. The concrete conclusion is when the opponent takes something we should not hastily take it back. 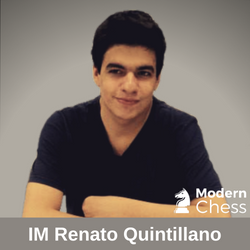 General rule teaches us that we should always create a list of candidates moves. 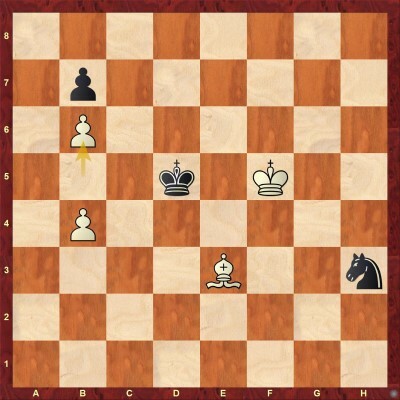 Even if you see a good move that wins a pawn look around before making the move. Maybe instead you can win a queen and end the game. The fortress is a very important tool which often allows us to save lost endgames. Sometimes, even strong players fail to spot simple fortresses. Of course, this fact has nothing to do with their chess level and understanding. Very often, people are just not on alert for a fortress. The current article of Yochanan Afek starts with such an example. One of the highlights of Tata Steel tournament last January occurred in the game between the American champion Sam Shankland and Netherland's No.1 Anish Giri in round 11. In this position, Shankland (playing with Black) resigned. 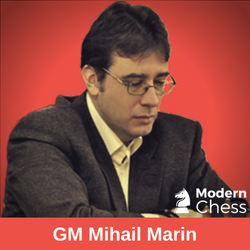 Instead, he could have brought his king to c8 and reach a theoretical draw. Here is how Afek takes on this fragment: What we witness here is a special type of positional draw where the inferior side, despite its significant material inferiority, builds up an impenetrable zone of protection. A proper fortress denies any king penetration, pawn breakthrough or Zugzwang. In this article, the author deals with different types of fortresses. The article consists of 4 annotated examples, 13 interactive test positions (sorted by level of difficulty) and answer section in which all the test positions are explained. After reading the present article and solving the test positions, you will definitely improve your defensive skills! 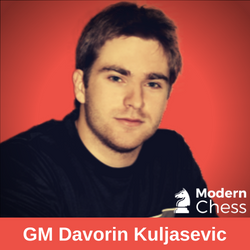 After learning how to build fortresses, the reader can further improve his endgame defensive skills by reading the latest article of GM Davorin Kuljasevic - Simplifications in Difficult Endgames. Let's see how the author himself introduces the current topic. 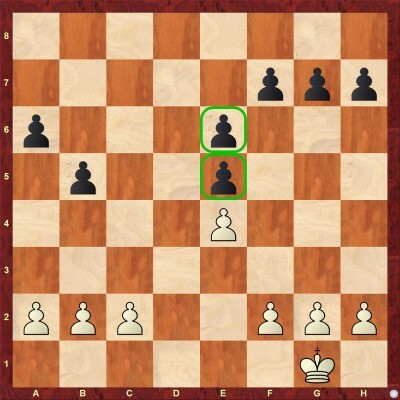 In this issue of Endgame series, we will explore simplification as a defensive strategy, while in the next one, we will focus on simplification as a winning strategy. The goal of simplification as a defensive strategy is to reduce the number of opponent’s fighting units, and thus his winning chances. 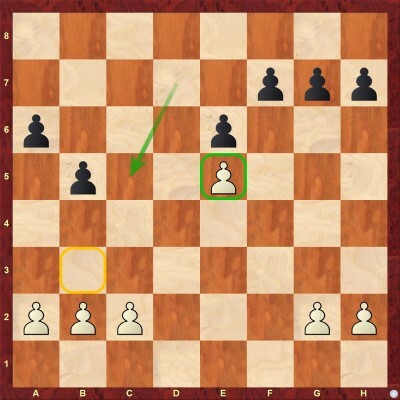 Usually, this is done by exchanging our own pieces/pawns for opponent’s, but it can also be accomplished by sacrificing material for opponent’s important assets, such as a far advanced passed pawn. 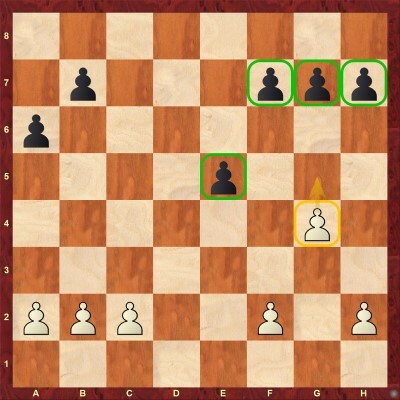 Considering the importance of pawns in endgames, simplification by reducing the number of pawns on the board usually increases drawing chances. The primary reason for that is the fact that many pawnless endgames are drawn either due to insufficient mating material (K+N/B vs K) or theoretically drawn (e.g. R+B/ N vs R are the most common ones). The secondary reason is that reducing the number of defender’s own pawns reduces the number of potential targets that the stronger side could exploit (e.g. backward or isolated pawn). Simplification, if done wisely, can help us achieve many of these drawn outcomes while defending a worse endgame. 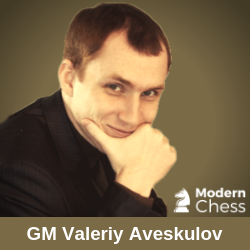 Now, let us see some examples from grandmaster practice, in which simplification as a drawing method played the key role in the endgame. We start with a simple example, from an 1841 study by Walker. The material balance that we have on the board is often sufficient for White to win the game. The usual plan is to send the king toward d6-square and outflank the opponent's king or provoke Black into pushing his pawns when it becomes easier to pick them up. 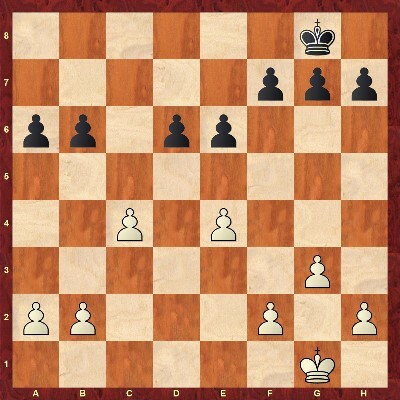 However, in this particular case, Black can achieve a draw by permanently threatening to trade off white c-pawn with a timely ...c6-c5, followed by ...Kc(a)6 and ...b6-b5. In this article, you will find 10 extensively annotated games which cover all the important aspects of the simplification. We cannot argue about the fact that the Hedgehog system (be it in the Sicilian or in the English opening) is one of the most paradoxical. It may appear that Black is playing awfully timidly, mainly aiming at defending on three ranks only. But this impression is false. In most cases, Black intends to outplay his opponent in the (possibly late) middlegame, by avoiding early exchanges and forced variations. White cannot convert his space advantage into something concrete that easily, while Black has several plans to create counterplay at his disposal. Among his main resources I would quote the pawn breaks ...b6-b5, ...d6-d5, ...e6-e5 (the latter usually with a white pawn on f4) or, if White refrains from e2-e4, a massive kingside expansion. All these plans need separate investigation, even though they sometimes interfere. The first article deals with ...b6-b5. Since White's normal development involves having knights on d4 and c3, this plan requires thorough preparation. 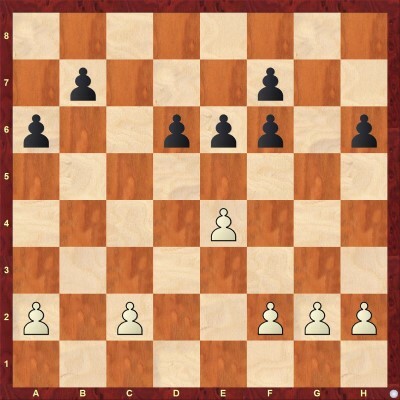 One way or another, by creating minor threats against White's slightly over-extended position, Black could "convince" one of the knights to retreat, when his plan would become more realistic. 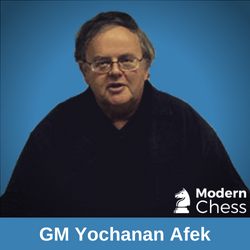 This article consists of 8 extensively annotated games in which the author explains all the subtleties related to the b6-b5 pawn advance. Let's take a look at Structure 1. This structure can be reached in the line with 6.f4 when White plays fxe5. He can, of course, keep the pawn on f4, but then Black has ...exf4 when we reach structure 6 of the previous database. A slightly different position can be reached if White had already played a2-a4 in order to prevent b7-b5. Nevertheless, structural ideas would be the same. After releasing the tension in the centre, White accepts a worse structure (the isolani on e4) in order to have open lines and chances for a kingside initiative. That is why Black should try to reach an endgame type of position. 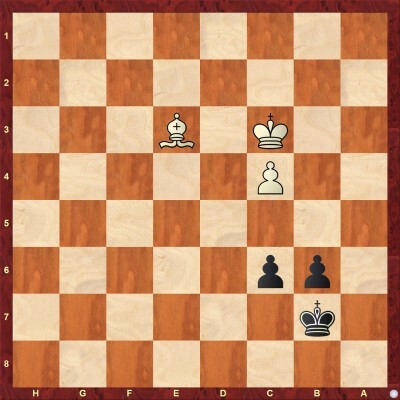 In such structures, the exchange of the dark-squared bishops is favourable for Black. After such an exchange, White will remain with weak dark squares and passive light-squared bishop.